National Commission for Women or No-Action Commission on Women? 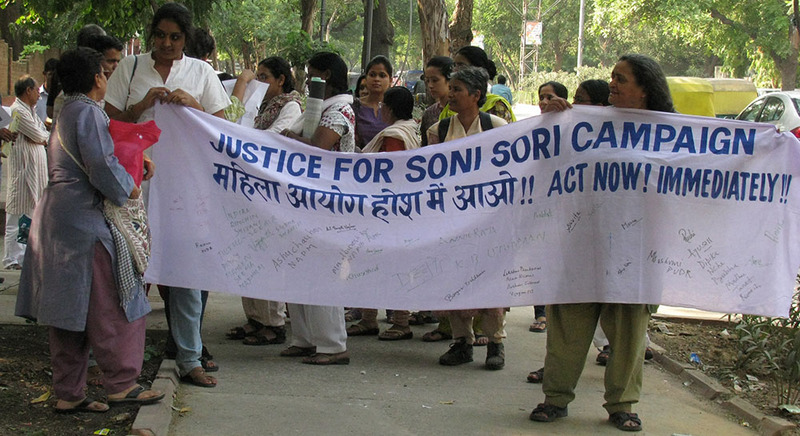 Why has NCW not taken any action in the case of Soni Sori’s custodial sexual torture? It has been one year since the arrest of 36-year old Soni Sori, an adivasi school warden from Dantewada, Chhattisgarh, and her custodial torture at the behest of the then SP of Dantewada, Ankit Garg. Soni Sori’s right to life and dignity have been violated by various jail and police authorities several times over – from foisting false cases against her, sexually torturing and humiliating her in the police station, denying her medical attention, and most recently, humiliating her by publicly stripping her in prison in the name of conducting physical search. We approached the National Commission for Women on several occasions to take steps against Soni Sori’s custodial torture and continuing ill treatment. Every single instance of illegality by police and jail authorities was brought to the attention of the National Commission for Women (NCW). Soni Sori herself wrote to the NCW seeking their help. But all this has fallen on deaf ears.